Our company is located in the heart of Watch Valley, the region of high precision machinery and high quality watchmaking. 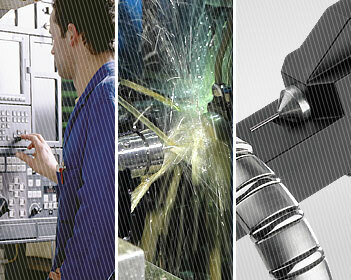 Everything melds together in this region to create excellence in the field of machine tools. As a member of the Mecap group we have been an efficient and strong partner for all your mechanical work since 1962. Over the years our work force has become a solid and reliable team, specialised in the machining of complex mechanical parts. We also manufacture watchmaker’s pliers that are highly appreciated by watchmakers throughout the world, as well as the “Gravex” engraving machine. Always creative and innovative, we also conceived the Girolle, the celebrated device for paring Tête de Moine AOC cheese. Discover our Multi-axis CNC lathes at the SIAMS from 17th to the 20th April 2018. In April 2017 we have successfully passed the renewal audit of our ISO 9001-2015 certification. After the D10, D13 and D3, the family is growing and we introduce our new lathe D3R. Our quality management according to ISO 9001-2015 complies with the most exacting requirements of the market. Last renewal of the certification on May 15, 2017.